Delegation of the Institute of Agricultural Economics, Belgrade attended the celebration of the Great Anniversary Conference 60th years, "AKI" Institute of Agricultural Economics, Budapest, Hungary. Ceremonial conference organized with the working topic: “One Decade of EU Mebership: Lessons Learnd and the Road Ahead for the Agro-Food Sector in Central and Eastern European Economies“. Ceremony attended guests from Austria, Bulgaria, Czech Republic, Slovakia, Slovenia, Romania, Poland, the Netherlands and Serbia. Ceremonial conference held at "Danubius Health Spa Resort Helia" in Budapest, 07th October 2014. 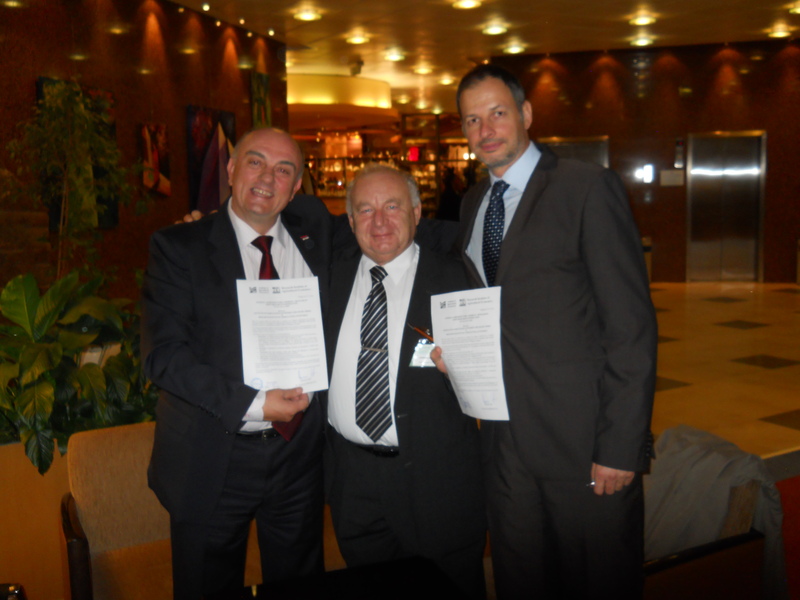 Delegation signed a cooperation agreement between IAE, Belgrade and "AKI" Institute, Budapest. IAE, Belgrade delegation consisted of Director, Prof. Dr Drago Cvijanovic, Scientific Adviser and Predrag Vuković, M.Sc. spec, Research Assistant.